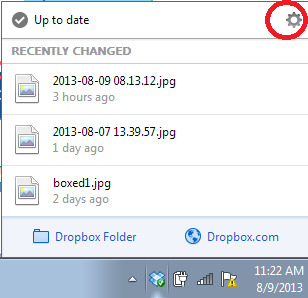 I'm sure I'm not the first to think of this but in case someone is wondering, it's really simple to integrate DropBox into WinUAE. Basically, you let the underlying OS do the heavy lifting. The Amiga side just gets access to the local folder. 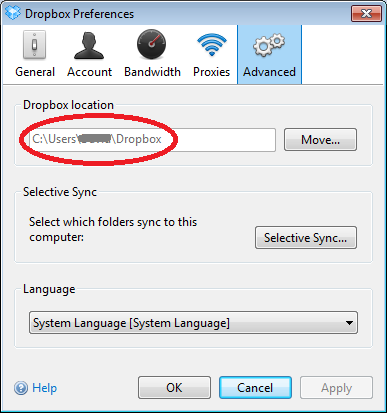 If you are on the Windows side, you have to find the actual location of the local folder where DropBox does it's sync'ing. 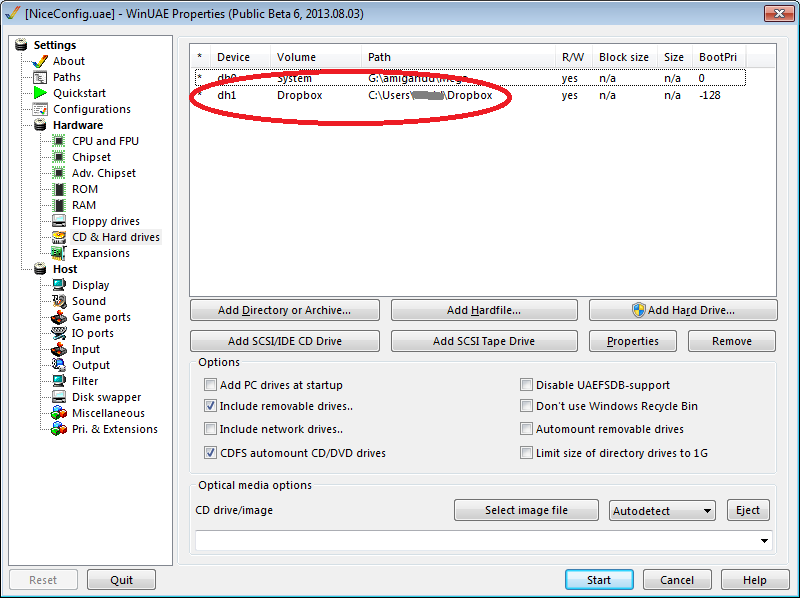 This drive is now accessible to any Amiga program (example: Directory Opus). I have copied files to it and seen those files show up on my Android phone within seconds. The only downside (at the moment) is that I have to manually update the window on the Amiga side to see any new files that were added externally. Also, I have to Show->All to see anything. Finally, the space used/free isn't reflective of the Dropbox limits, but the harddrive where the Dropbox folder on Windows is located. 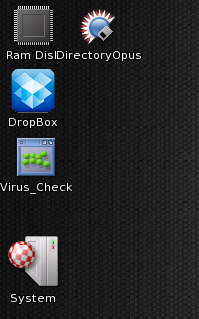 However, this is a very easy and quick way to have DropBox on your emulated Amiga. Next up, trying to figure out something similar by mounting the Windows Dropbox folder using Samba (or something similar). Cloud servers are bad. You may as well send all your files to the NSA and they will put them up for you. The reason is simple, i dont like having to manually sync up various projects i work on, and also it means not having to make manual backups. I used to use a USB but they broke in my wallet too often. Reason i stubbled on this thread though was to try and find a way to sync a few folders on a real amiga.